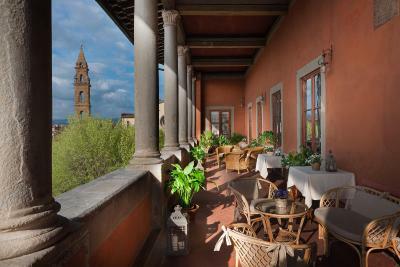 Lock in a great price for Hotel Palazzo Guadagni – rated 8.8 by recent guests! Wonderful old building on Santo Spirito square. This is on the 'other side' of the city (oltarno), but the square and its surrounding is full with life, bars, great restaurants and cultural attractions (including Palazzo Piti, the great gallery). Rooms are comfortable, but a great addition is the terrace (in and out-door) providing great views of the city. 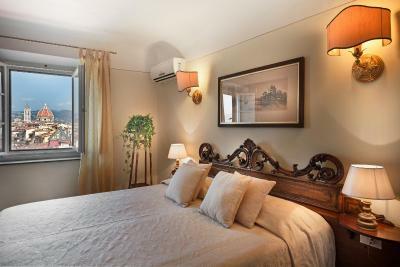 Great location - 12-15 minutes walk to Piazza Signoria - through a lively part of the city. We are coming back on March. We loved the location of the hotel, in a quieter, less touristy piazza of Florence, with excellent restaurants nearby. The breakfast included was very nice and the views of Florence from our top floor room and the hotel terrace were amazing! All of the sites were within a nice walk from this hotel. The friendly staff were helpful in recommending activities and restaurants. 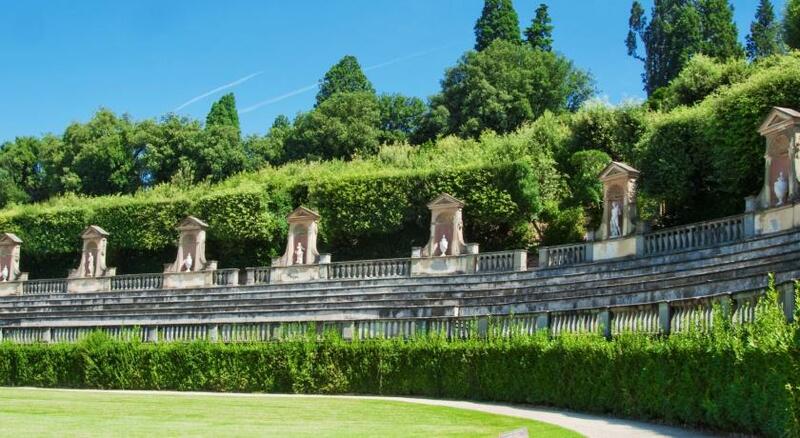 We highly recommend this charming hotel, located in an ancient historic palace! Location in the Oltrano neighbourhood, historic building, the view lounge/patio at sunset, the staff, breakfast and the character of the room. 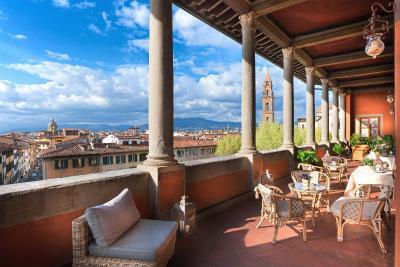 The Hotel Palazzo Guadagni is a beautiful property located on a lovely tree-ligned piazza fronting the lovely church of Santo Spirito. There is a market every morning and there are pleasant restaurants on the piazza and around it. 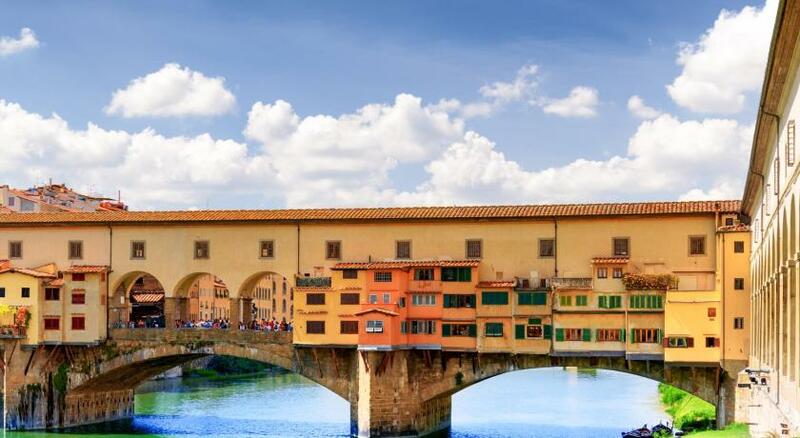 It's a 5 minute walk to the Palazzo Pitti and 10 minute walk to the Ponte Vecchio. The staff is very helpful and pleasant. The rooms are beautiful and comfortable. We had room 15 which has a gorgeous panoramic view of Florence. A lovely gallery surrounds the hotel on 2 sides. It is furnished with very comfortable chairs and tables where you can have drinks, read, write or rest after your exploration of Florence. The hotel is so close to the center of Florence that you can easily go back there during the day for a rest. The buffet breakfast is very good. All was great but I especially like the old world atmosphere and charming decor. Piazza Santo Spirito also has a very nice local vibe. Love the experience! Incredibly wonderful stay at this lovely and gracious Florentine palace, run by a truly wonderful staff. For us the location was perfect—central but away from the throngs of tourists, on its own lovely and lively square looking over beautiful Santo Spiritu. Evening crowds in the square make it feel vibrant; breakfast and drinks on the loggia alone would make it worth more than the price of a room—perfect. Staff went out of their way to help with everything from an English speaking medical clinic to a letter I needed help writing in Italian. Thank you!! Fantastic location; accommodating staff; superior room. Nice hotel, great location in the charming neighborhood of Santo Spirito, Apartment was HUGE, had all the amenities you could ask for and the Terrace on the 3rd floor had an amazing view of the Florentine skyline...James the waiter on the Terrace provided exceptional service as well. Great Stay! Hotel Palazzo Guadagni This rating is a reflection of how the property compares to the industry standard when it comes to price, facilities and services available. It's based on a self-evaluation by the property. Use this rating to help choose your stay! 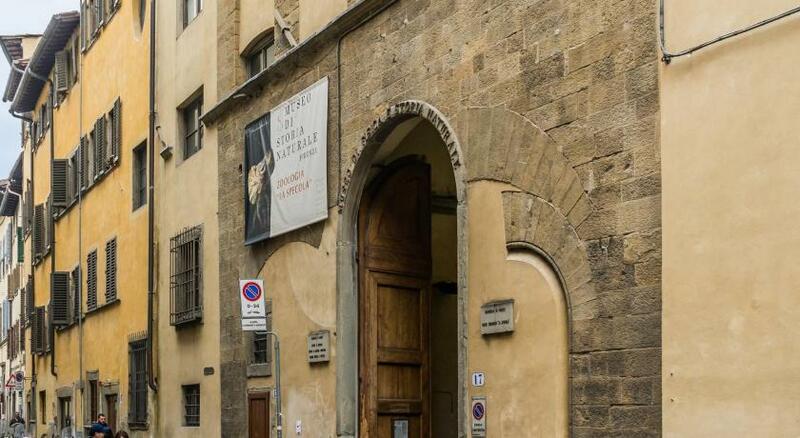 Palazzo Guadagni Hotel is set in a 16th-century building in a quiet square a 5 minute walk from the Ponte Vecchio. It has a roof garden with lovely views. 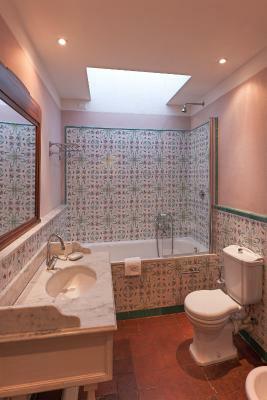 Elegant Hotel Palazzo Guadagni provides excellent service and a comfortable stay. 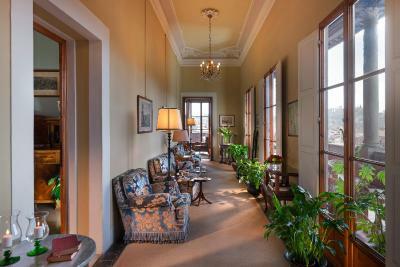 Lounges have antique furniture, frescoes and free Wi-Fi access. 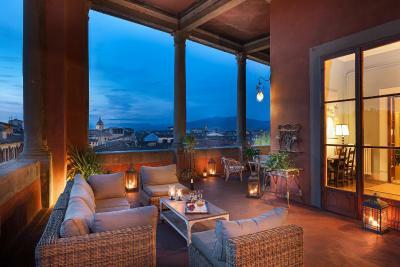 You can look out over Florence or the Tuscan hills from Palazzo Guadagni's rooftop bar. Your breakfast is served here from 8am until 10am. 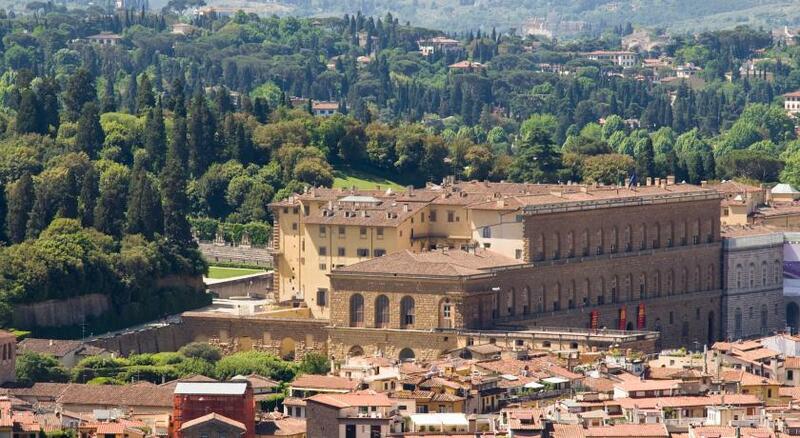 Some of Palazzo Guadagni's rooms overlook Florence's Duomo or the Pitti Palace or have real fires and frescoes. All have air conditioning and satellite TV. 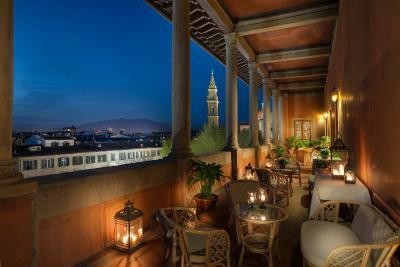 When would you like to stay at Hotel Palazzo Guadagni? This air-conditioned room features satellite TV and an private bathroom. Please note that some rooms are accessed via an internal staircase only. Large and elegant room with antique furniture. Some have views over Florence's historic center. Composed of 2 connecting double bedrooms, this room is air conditioned and features satellite TV and an private bathroom. House Rules Hotel Palazzo Guadagni takes special requests – add in the next step! ATM card Hotel Palazzo Guadagni accepts these cards and reserves the right to temporarily hold an amount prior to arrival. Hotel Palazzo Guadagni accepts these cards and reserves the right to temporarily hold an amount prior to arrival. No elevator going up to the room and it was difficult since my luggage was heavy. Breakfast could perhaps have been a little more adventurous, but no complaints. 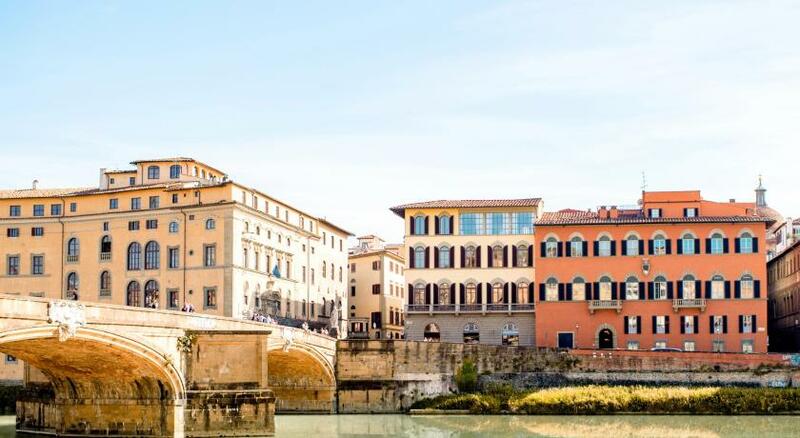 A delightful old hotel in a 16th-century palazzo on a charming square in the Oltrano district, close to the river and within easy walking distance of the city centre and all the main Florentine cultural attractions. Several good restaurants within a few minutes' walk. Staff were lovely and very helpful; rooms spacious and comfortable while retaining their original ambience. We liked it all, and no complains. The buffet breakfast was good, but quite routine after two days of stay and needs to introduce some changes over the week. The air-conditioner for heating is not enough for the big room. The flush toilet did not work，so we got a better and bigger room for free for 3 nights. The room is beautiful an very big. There is a good view on balcony. We love it! This is a lovely and quaint hotel that made us feel as if we’d stepped back in time. Our room was huge with a comfortable bed and pretty views. Breakfast was a nice spread and everything is within walking distance. It would have been nice to have a shower screen/curtain around the bath. Convenient location to walk to all the major sights. Superb roof terrace. Excellent service and friendly staff. I had the apartment which was well appointed and very comfortable. parking car near by is expensive. Nothing comes to mind! Even our booking the visit of the Cupola of the Dome online before our stay in Florence worked out this time - as a hadicapped you do not need to pay, but then you won't get the chance to place a reservation for the visit which is requested. I used the trick to order a child's access for 3 Euro which allowed me to make a reservation, and it was worth it! We enjoyed the old Renaissance Palazzo very much, the appropriated furnished room and especially taking a drink in the Loggia above Piazza Santo Spirito before having dinner while absorbing the perfect view on parts of the city and the church Santo Spirito with its campanile (belltower) during sunset. Staff was very friendly, helpful with a garage for the car. Good breakfast variety in a tastefully equipped room. Very good location for walking through all destinations of the city, very nice neighbourhood, lots of restaurants with very good menues around. Highest recommandations! The room was a bit cold and because it was on the street side you could here a lot of noise in the evenings. Be aware that a tourism tax is added to the final price at the property. I really liked the location and their balcony terrace overlooking the city. The staff speak excellent English and are always willing to help. They let you stay as long as you like on your check-out day so you don't have to drag your luggage around.